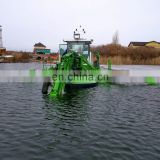 The Mud King Amphibious Dredger concept is a smart choice for all environmental shallow water projects. Mud King are currently solving these challenges with hundreds of units in over 65 countries worldwide. Its smart operating principle enables very accurate and efficient environmental dredging – the right amount from the right place. 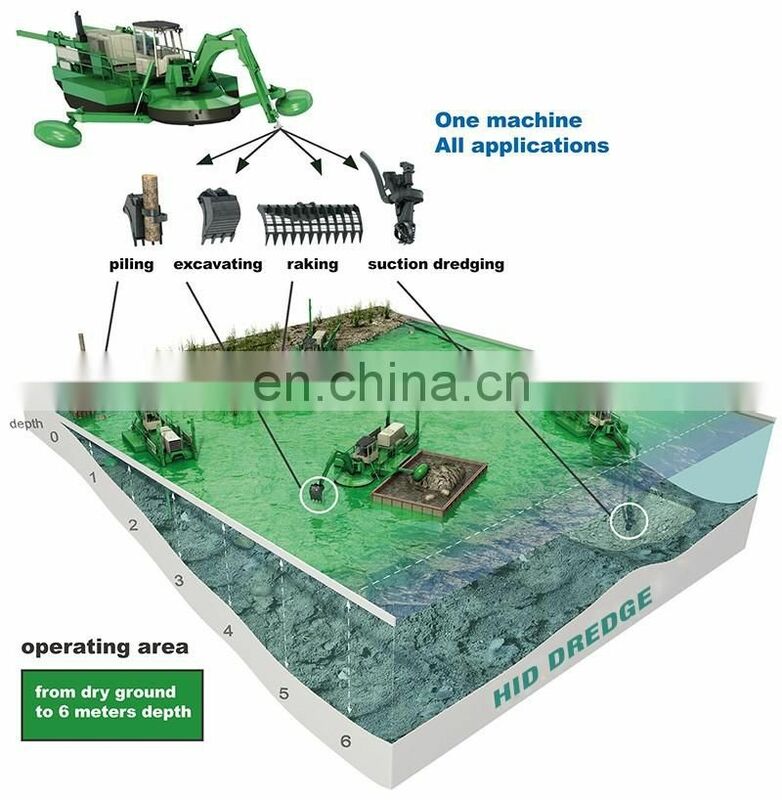 HID Mud King Amphibious Dredger can deepen, build and clean out inland waters and shores. With this multipurpose technology the smart approach for various problems can be chosen, so that the work is done cost effectively and properly. 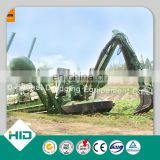 HID Mud King Amphibious Dredger can move and work in extreme conditions. 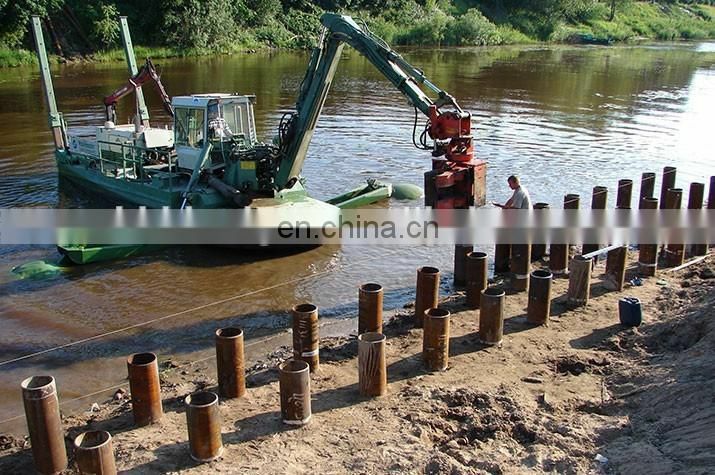 Civil engineering jobs in water are typical for Mud King Amphibious Dredger. Mud King is ideal when e.g. embedding cables and pipes in the bottom and it can also do other kinds of maintenance work effectively. The machine moves to the site with its own propulsion system and remote controlled spuds give proper anchorage for steady and efficient piling, excavating work as well as for cable mounting. 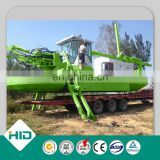 HID Mud King Amphibious Dredger is easy to transport to the site on a trailer and from there the dredger simply walks into the pool by itself. 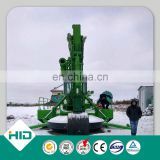 In the pool Mud King moves with its own propulsion system and can also move to another pool by using its excavator assembly and spuds. It can pump the mass into another pool up to 1,5 kilometres away. By backhoe work it can build and repair the pool banks. 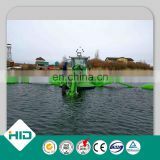 HID Mud King Mud King Amphibious Dredger excels alone in the tasks that are conventionally handled with multiple separate machines. With its versatile selection of quickly changeable attachments, the Mud King Amphibious Dredger can do all shallow water work from dry ground up to the depth of six meters. 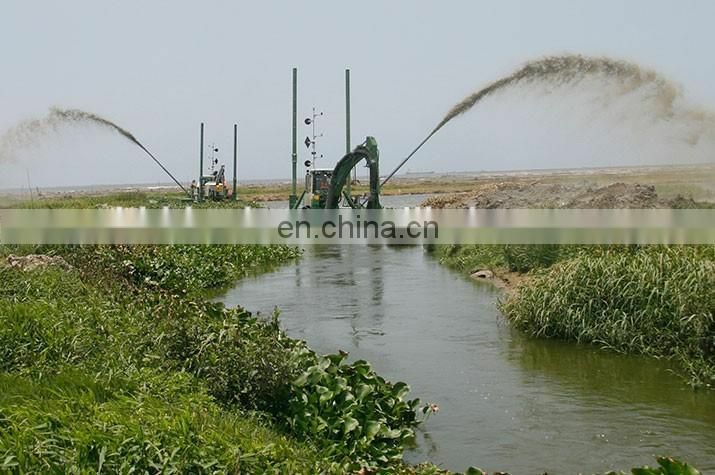 "Mudking” Amphibious Dredger is designed to work on soft foundation by Shandong Haohai Dredging Equipment which has absorbed the most advanced dredging technology. 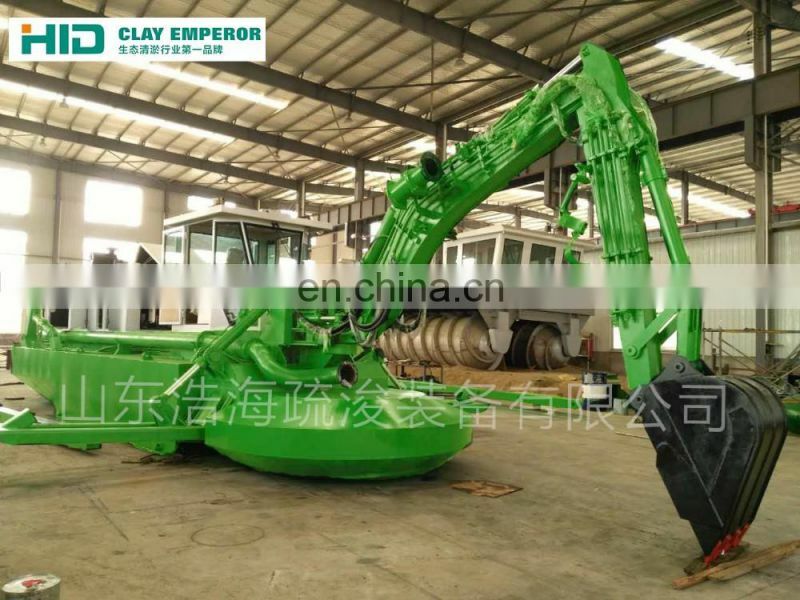 It adopts fully hydraulic control system making it convenient and flexible and is of highly reliable quality. The walking system can be completed by separate open water pump jet propulsion, or be pulled by winch wire rope, or be step moved by the rotary telescopic working device of the front leg.